Swishing your mouth out with coconut oil may be a more effective and safer alternative to chemical mouthwashes, according to new research. A new study has proven for the first time that the oral use of coconut oil is effective in reducing plaque related to gingivitis, a common form of inflammation in the gum tissue of the mouth that occurs in response to bacterial biofilms (known as plaque) adhering to the surfaces of the teeth and which can lead to more serious oral condition known as periodontal disease. Titled, “Effect of coconut oil in plaque related gingivitis – a preliminary report“, and published in the Nigerian Medical Journal, researchers decided to test the hypothesis that the increasingly common practice of “oil pulling or oil swishing therapy” today, is as effective for maintaining oral health as has been believed for centuries. Oil pulling, in fact, is a traditional therapy that stretches at least as far back as 1500 years ago, where it was mentioned in the early Ayurvedic text, the Charaka Samhita, and which we covered in our article “Oil Pulling: Ancient Secret for Optimal Health.” Yet, traditional oil pulling was believed performed mainly with sesame oil, with available published studies also using sesame seed oil and not coconut. The study enrolled 60 subjects between 16-18 years of age with plaque induced gingivitis. No control was used, rather, “the study was designed to compare the baseline values and the post intervention values in a single group performing coconut oil pulling in addition to their oral hygiene routine.” The subjects were measured for plaque and gingival indices at baseline (day 0), and then on days 1, 7, 15, 30 after the oil pulling was started. The results were found to be statistically significant, indicating that coconut oil is an effective treatment for reducing gingivitis symptoms and plaque build-up on the teeth. 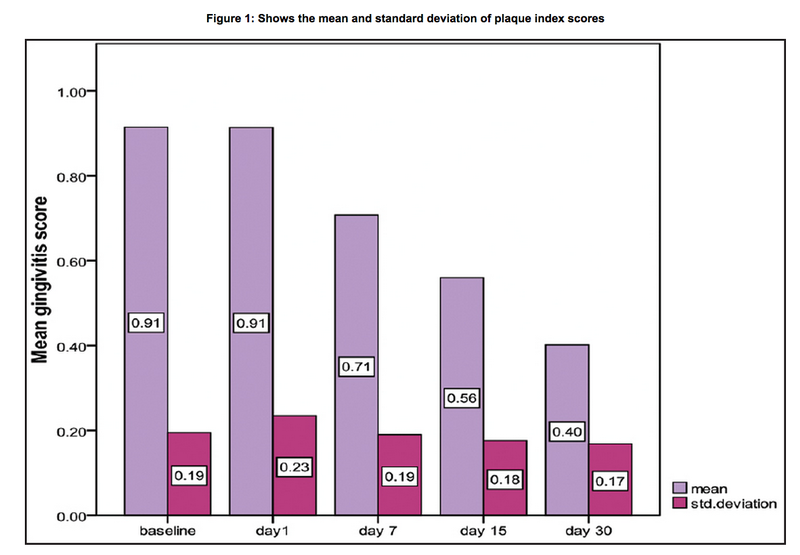 The reduction of gingivitis and plaque scores within 30 days. Worried About Clogged Arteries? Drink This! Sayer Ji is an author, educator, Steering Committee Member of the Global GMO-Free Coalition (GGFC), advisory board member of theNational Health Federation, and the founder of GreenMedInfo.com – an open access, evidence-based resource supporting natural and integrative modalities. His writings have been published and referenced widely in print and online, including Truthout, Mercola.com, The Journal of Gluten Sensitivity, New York Times and The Well Being Journal.